Here is my table, #525. Hope to see you at Indy Pop Con! Indy Pop Con is here! 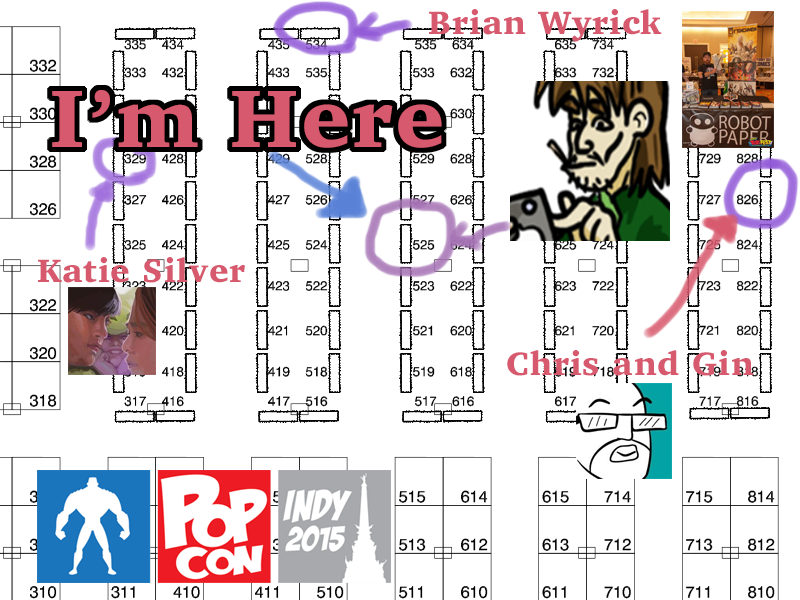 This Friday – Sunday I’ll be tabling at the second Indy Pop Con at table #525! If you’ve already bought R&tR come stop by for a $5 Poster! Just show me your copy(or get one) and you can get you some grade a poster-age. Us pencil wielders need to stick together, right? Go check out among other people Katie Silver, Chris and Gin, and Brian Wyrick. I know i’m getting the last I, Henchbot book this week at Downtown Comics in Castleton but he’ll have the whole run available for purchase. Heck, bring ones you’ve bought and get them signed maybe why not?! Come November I’ll be at the INDYpendent Self-Publishers show, always a great show. I’ll be there with INDYAlumn Katie Silver and most likely Bri Rudd, Chris and Gin, and probably Lee of Little Guardians. Heck it’ll be a whose who of Indianapolis. 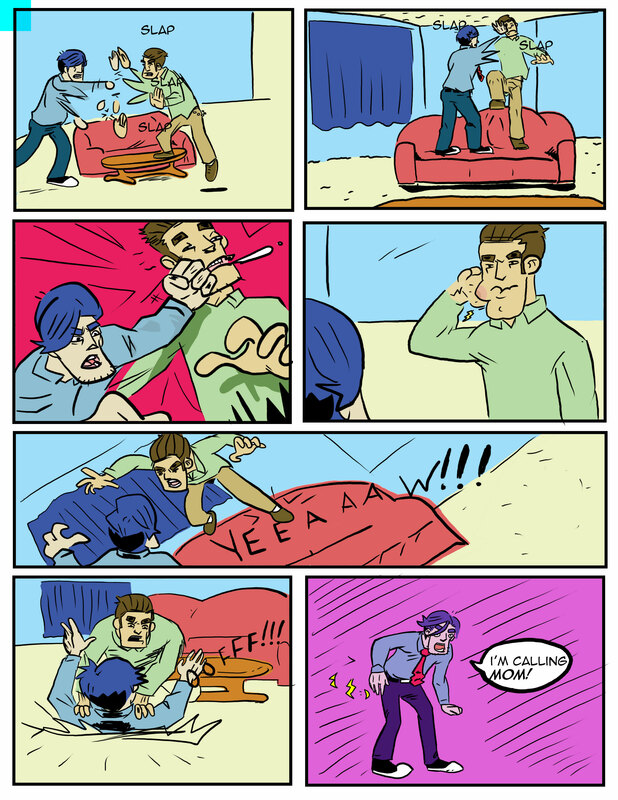 If you’d like to get in touch with the collective comic zeitgeist or just enjoy pizza there is a meet-up group that you might like: IWG, Indiana Webcomics Group (though not limited to webcomics). They’re a supportive and open group of folks who’re trying their hand at comics, illustration, science, or anything comic related. If you were anything like me and Jon Snow and knew nothing this is a great group to get some feedback and learn without fear of reproach. Hope to see you at any of those locations! This has been the Fat MattAttaq sans baby-back and soon no baby fat.